Oxeon have carried out trials on Composites Evolution’s Biotex Flax/PP in order to develop a new range of environmentally sustainable, lightweight tape woven fabrics. Oxeon originally contacted Composites Evolution about the project as they were looking for aligned natural fibre-based tapes in order to develop a new range of environmentally sustainable, lightweight tape woven fabrics. Oxeon are the leading supplier of Spread Tow Fabrics for ultra light, high performance composites. They explain that TeXtreme® Spread Tow Reinforcements are generally based on carbon fibres but they are continuously working on new developments to enable a broader use within the composites industry, and to allow more applications to benefit from the weight savings and other advantages of TeXtreme®. The aim is to produce ultra light composite parts using the new variants of TeXtreme®. Composites Evolution explain that the Biotex Flax/PP tapes have been woven into a fabric using Oxeon’s unique Tape Weaving Technology to create a new TeXtreme® Spread Tow Fabric variant based on natural fibres. 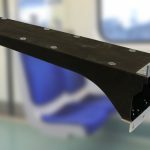 Brendon Weager, Managing Director of Composites Evolution Ltd, comments “In this project we have developed a tape-woven fabric with excellent properties and that is environmentally sustainable”. According to Composites Evolution, the main advantage of using flat tapes, compared to yarns or rovings, is that the crimp in a woven fabric is dramatically reduced, resulting in better fibre alignment and hence significantly improved mechanical properties. They say the tensile modulus of Flax/PP composites made from the new tape woven fabric is 40% higher than the equivalent material made from yarn. Composites Evolution can currently supply a range of aligned Flax-based tapes, including Flax/PP and Flax/PLA in widths from 10-100mm, with intentions to expand their range in the near future. This new range of high performance, natural composites are suitable for applications which require a combination of high performance, low weight and low environmental impact, such as automotive parts and sports goods. 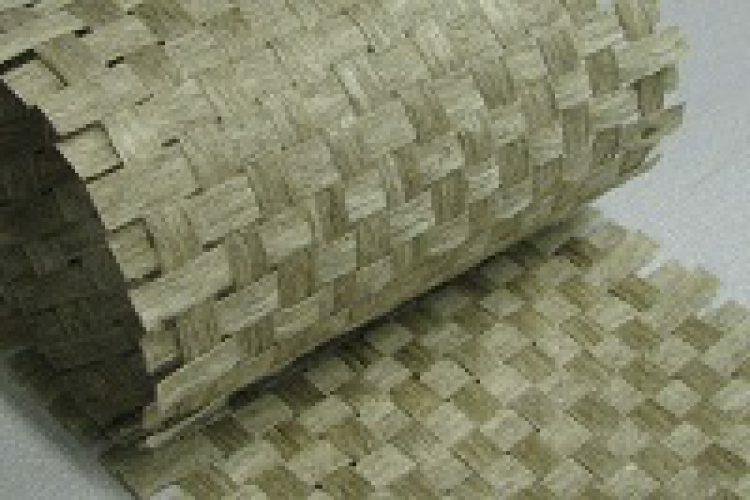 Composites Evolution will be exhibiting examples of the Flax/PP tape woven fabric and composites on stand 4/A24 at the Composites Europe show in Stuttgart, 27th – 29th September 2011.